Political approaches to US sanctions on Russia and Iran obviously showed the rising tensions between Republicans and Democrats in US foreign policy. Nowadays, White House spokesperson Sarah Sanders underlined that “sanctions against Russia and Iran are risky for US foreign policy”, although Democrats in the US House of Representatives introduced a new version of a Russia and Iran sanctions bill, hoping to send a message to President Donald Trump to maintain a strong line against Moscow. Commenting the meeting with Vladimir Putin in G20 Summit, Trump states on his twitter account that “...We negotiated a ceasefire in parts of Syria which will save lives. Now it is time to move forward in working constructively with Russia”. Within the Summit “handshake” was also in the core of the meeting between the heads of US and Russia. In comparison with other presidents, Trump’s handshaking with Putin was “soft” and gently. Professor at the Department of International Relations at Central European University, Erin Kristin Jenne states in her response to Eurasia Diary’s questions that there has been a lot of continuity between the Obama and Trump administrations. Paul Robinson, Professor on Public and International affairs at Ottawa University says that there is little practical difference between the two administrations. 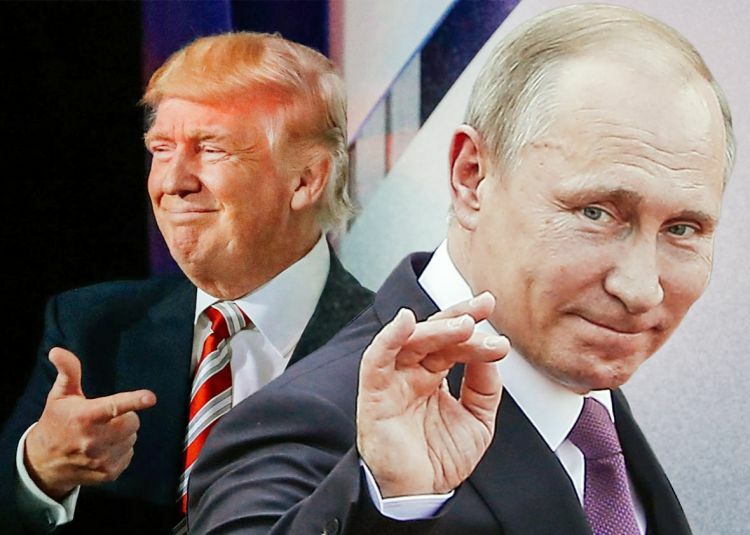 He also mentions that Trump has said some positive things about Putin following their meeting, but so far he has continued the policy of the Obama administration by maintaining and indeed strengthening sanctions against Russia. Some of Trump’s officials, notably Nikki Haley, have also spoken very harshly about Russia. Both experts underline that despite the China’s support to Russia, sanctions of the Western countries had negative impacts on Russian economy. Professor Erin K. Jenne considers that Western sanctions have clearly hurt Russian businesses (particularly banks and the energy sector), the currency and the economy as a whole. According to Mr. Paul Robinson, although it is observed some influence on the economy of Russian Federation, there is no any change on the policy of official Kremlin. NATO’s expansion around Russia, US military bases and military exercises near China underestimate any political compromise in the global context.